While not tremendously original, the film's one-two punch of nostalgia and storybook idealism is extraordinarily effective. Winnie the Pooh loves you as an adult too. 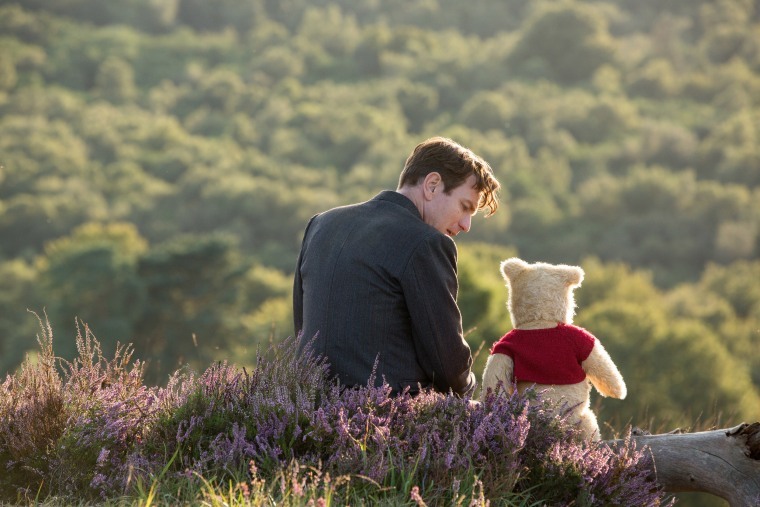 Disney’s newest release, “Christopher Robin,” which arrives in theaters this weekend, represents a new addition to the Disney canon: A live-action remake sequel. Set in the aftermath of World War II, the story focuses on the now-grown Mr. Robin (Ewan McGregor), a middle-efficiency manager at an old-fashioned luggage company trying to stay afloat in a crashed economy. Robin returns to the 100 Acre Wood and is, surprise surprise, reminded of what really matters in life. It is all the Disney nostalgia you remember, repackaged alongside new versions of the characters you never forgot. Live-action films have become Disney’s newest craze, as the studio mines its decades of cartoons for 21st-century remakes. So far, Disney’s most successful attempts have been “Cinderella” and “Beauty and the Beast," films which remade megahits and relied heavily on the original source material — in some cases, practically matching the cartoon versions shot for shot. Despite its popularity as a franchise, however, “Winnie the Pooh” does not really have a major film to remake. The first 1966 film was an animated short, as were the 1968 and 1974 follow-ups. It took over ten years to make franchise's first feature film, and that was less a standalone movie than several smaller vignettes strung together. In short, this was never going to be as simple remaking a favorite like "The Lion King" — which Disney is doing next year. As a result, Disney was forced to get creative. The music in "Christopher Robin" is the same, as is Jim Cummings, the man who has voiced the silly old bear since the mid-1980s. But the dialogue is cobbled together from a series of Pooh-style one-liners that vie for space next to a series of familiar if non-Pooh specific Disney tropes about adulthood — including warnings about being married to the job, celebrations of children with heroic spirits and as always, the claim that the power of love is strong enough to magically solve just about any crisis. But this isn’t 1910, and Julie Andrews (or Emily Blunt) will not be appearing to teach anyone lessons about spoonfuls of sugar. Instead, our now-soulless Mr. Robin has to be saved by the very characters he left behind year before. They too, by the way, have aged. Pooh’s nose is practically furless and his speech has slowed somewhat. Tigger’s colors have faded and Piglet seems slightly threadbare in places. (I assume the stuffed versions sold in Disney Stores will be a touch sturdier.) Oh and Eeyore loses his tail, although that’s nothing new. But while the toys have grown careworn with the decades, their childhood logic hasn’t aged a day. The movie pushes Robin to remember how to have fun, but the necessity of needing a paycheck still prevails. This leaves our beloved characters to find a new friend to play with — and perhaps impart some wisdom to. The new friend is Madeline Robin (Bronte Carmichael), Christopher’s daughter, allowing the tale to now be one with girls and boys as the human heroes. Madeline has a bike and apparently an endless supply of shillings, because she takes the toys to London to save her father from being “eaten by woozles for breakfast” — which is really shorthand for saving him from a fate worse than death: embarrassment in front of one’s boss. Opinion | Ani Bundel: "The Kissing Booth" is a runaway hit. Here's why you've probably never heard of it. Whether or not they succeed is unimportant because, as Pooh will tell you, it’s the thought that counts. Whether the movie’s ending makes sense is not really important either, because it’s the feelings that count. And Disney has made sure to fill this movie with so many feelings that by the finale they’ve started to spill over. Case in point: The end-credits sequence (yes, there is an end-credits sequence) features the 90-year-old Richard M. Sherman, a nine-time Oscar nominee who wrote all the original music for original the “Winnie the Pooh” films along with his late brother Robert, playing a new composition called “Christopher Robin” as the CGI characters joyfully dance around him. It may not be an exact remake of any “Winnie the Pooh” film you grew up with, but as a tribute to the spirit of Pooh, it’s a knock-out.